There are several cuvées of Rasteau Villages made here: we have always found the two old-vine bottlings worth the extra: "Paul-Emile" has unctuous old-vine Grenache in the style of a Grand Cru Burgundy whereas "A la gloire de mon père is better than most Châteauneufs with great depth of character. 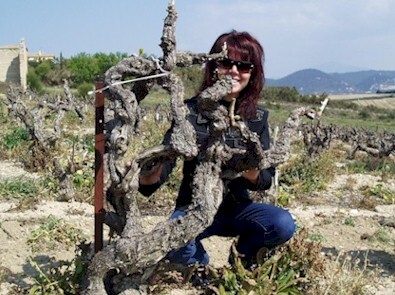 In addition to their red wines, Bressy-Masson is one of an ever-diminishing number of Rasteau estates making wines in the Rasteau Rancio appellation (although, according to John Livingstone-Learmonth, this style is making a resurgence). This is a vin doux naturel, a speciality of the region, made in much the same way as Port but from indigenous grapes (ie. Grenache). The slightly more common Rasteau VDN is not dissimilar to a Tawny Port (see Domaine des Côteaux des Travers) but the Rancio is quite different - stylistically more a cross between Sherry and Madeira. The reason is that, whereas barrels are usually topped up when evaporation occurs during the ageing process to prevent oxidation, the Rancio wine is deliberately oxidised in a controlled manner. As with all great fortified wines, it has an intoxicatingly sweet palate but a dry finish.